2016 saw the network take major advances toward a software-defined future, with SDN and NFV being the acronyms on everyone's tongues. 2017 is about taking the next steps in the long-going synthesis of networks and computing. Here are four things we see happening, or beginning to happen, with the network in the next year. Network orchestration will fuse with the "orchestration of things"
The last ten years were about the fusing of computing and networking, and the next ten will be about the symbiotic relationship of the network and "things." I don't just mean that a you'll be able to attach your light bulbs and thermostat to the internet; that's all very 2010. Instead I mean that, increasingly, physical things will interact with a more dynamic network to the benefit of both, and this will be implemented very much like the network orchestration we're beginning to see today. In a way, this is an easy prediction, thanks to a proof of concept demo at Cable-Tec Expo which showed an orchestration of a simple network along with some software-controlled toys-a drone, a BB-8 droid. The point was that a network orchestrator can control anything with an API. From there it's a small leap to imagine controlling more economically significant things-power systems, sensor arrays, industrial and medical equipment, etc. It will be exciting to see some creative minds figure out new and interesting uses of IoT, especially as it blends into the network. In recent years, the definition of "machines" has lost its long-held aspect of physicality as virtual machines have made us rethink how we talk about computing infrastructure. We expect 2017 and onward to see more and more aspects of networking being virtualized. In optical networks, even something as basic as the concept of a "wavelength" isn't immune from being affected by this trend. In 2017, those of us in the networking space will have the opportunity to reimagine the building blocks of an optical network, and move beyond limitations that cease to exist in a virtualized environment. Another concept that is looking more and more like a reality due to virtualization is the notion of network slicing. Slicing refers to segmenting a wireless network so that different portions of that network can be tied only to certain applications, and thus allow for different parameters and priorities to determine service quality. Imagine a large, self-driving truck next to you on the highway-the possibility is not far off, autonomous driving proponents say. That truck needs a stable internet connection in order to have the most up-to-the-millisecond knowledge of its surroundings, traffic and weather conditions in order to make driving decisions with the least chance of an accident. Thus, you probably want the truck to have a higher-priority, lower latency network experience than your iPhone as it updates your Minecraft app in the background. By slicing the network, that priority can be assured. Ever since organizations saw what the open-source model did for the Linux operating system (which is celebrating its 25-year anniversary this year), efforts have been made to create open-source tools in other areas. For networks, those efforts have started gaining momentum in recent years. One example is ONOS (Open Network Operating System), the open-source SDN platform for service provider networks. Those familiar with open-source communities will also recognize that research and education (R&E) networks generally play a big role in their development. In fact, if you want to see the future of openness, look at what R&E organizations are already doing. The research community is naturally open and built to foster greater collaboration, driving more innovation. The R&E community was also ahead of the curve when publishing the first OpenFlow paper in 2008, which kicked off the conversation around SDN. The spirit of collaboration is also making for some unexpected but fruitful partnerships, such as the work that took place this year between Ciena and the U.S. Department of Energy; specifically, the DOE's Energy Sciences Network (ESnet), which helped to improve design cycle times for future high-speed optical networking components. At Ciena, we have talked a great deal about the fact that the network needs to be smarter and more autonomous. Intelligent and programmable functions are key in making the network better able to respond to the unpredictable demands that are a symptom of a world of cloud computing and high-bandwidth services like high-definition streaming video, machine-to-machine connections, and IoT, to name a few. And the network needs to be able to react quickly-faster than a human being can respond manually. The computing world has seen massive benefit from machine learning and artificial intelligence work, and there's every reason to believe the same will be true in networking. Networking devices will be more generous in providing instrumentation and data, and we'll see more systems taking advantage of that information to make good networking decisions. Of course we humans will keep the all-important role of setting policy and rules by which the network makes decisions, and if we do this right we'll have more time to optimize those policies as the network itself takes on the busy work of driving. In 2017, the network will continue its steady growth in strategic importance as it broadens the reach of its impact to include "things," new aspects of virtualization, and fleshes out concepts like slicing. Expect to see major steps taken toward open-source network tools, fueled by collaborations that are inspiring developers all over the world, as well as more flexibility in the new year as networks become smarter, more interconnected, and more robust. 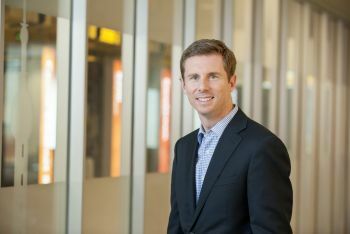 Rick Dodd is currently Ciena's SVP of Open Architecture. In this role, he is responsible for further defining, driving, and evangelizing openness across Ciena's product offerings.